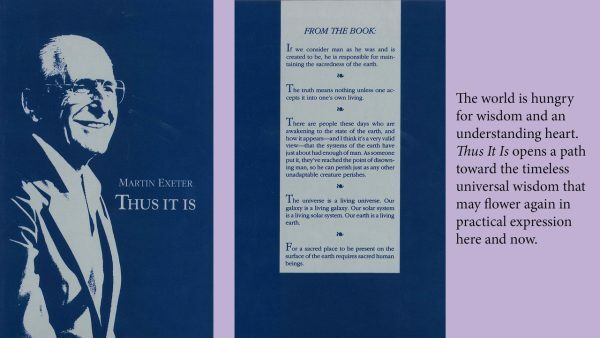 In this collection of transcribed extemporaneous talks given in the last year of his life, the author casts a level eye upon the vagaries of the human state, what he calls the “mind-made world.” He describes, by contrast, the harmony and order that is the natural state for human beings. The world fabricated by the cleverness of our human intellects–a fragmented, fearful and chemically poisoned world–is hungry for wisdom and an understanding heart. THUS IT IS helps illustrate how to let the timeless healing power of wisdom flower again in everyday experience. This book is a compelling invitation to everyone of integrity to discover this power in their own lives. Hardcover. Also available on DVD.